Fast professional effects on any kind of movie clip. 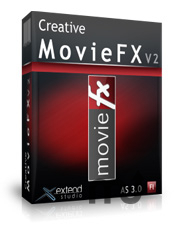 Is there a better alternative to Creative MovieFX? Is Creative MovieFX really the best app in Animation category? Will Creative MovieFX work good on macOS 10.13.4? Creative MovieFX... Add easy and fast professional effects on any kind of movie clip. Every effect is customizable and gives endless possibilities to create and customize. Using a FLASH component has never been easier because now our components have an intuitive FLASH like interface. It gives you easy access to over 270 customizable effects + gives you freedom to create visually your own custom effects = endless possibilities. Creative MovieFX needs a rating. Be the first to rate this app and get the discussion started!